Boris Johnson, The Mayor of London, will visit the US next week to discuss battling the Islamic State militant group with various US officials. LONDON (Sputnik) — The Mayor of London Boris Johnson will go to the United States next week to discuss battling the Islamic State (IS) militant group with various US officials, the Evening Standard reported Friday citing sources in City Hall. Boris Johnson says increased training and support could help the allies of the United Kingdom in the war-torn region, but rules out the possibility of sending British troops to Syria or Iraq. “Is there more we can do with supplies and weaponry of the type that could be useful to the Peshmerga? I don’t think the public wants to see our boys out there fighting on the front-line but there may be more we can do to train and to give support,” Boris Johnson told the Evening Standard. According to the newspaper, during his week-long junket in the United States, Johnson will visit Boston, New York and Washington. 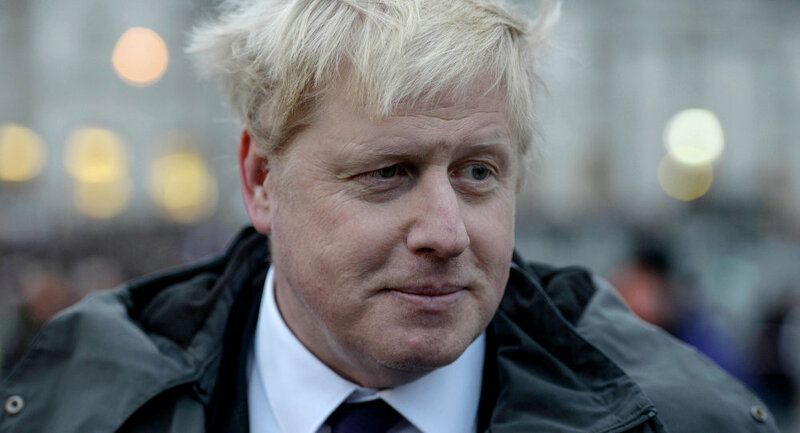 Boris Johnson, a member of the Conservative party, is increasing his visibility on the world political stage, and British media regularly claims that he has designs on being the country's next prime minister. The Islamic State is a jihadist group notorious for its human rights abuses. In 2014, it took vast territories in Iraq and Syria under its control and proclaimed an Islamic caliphate. The insurgents have kidnapped and killed several foreign nationals, including military personnel, aid workers and journalists, and threatened to conduct terrorist attacks in several European capitals, including London.